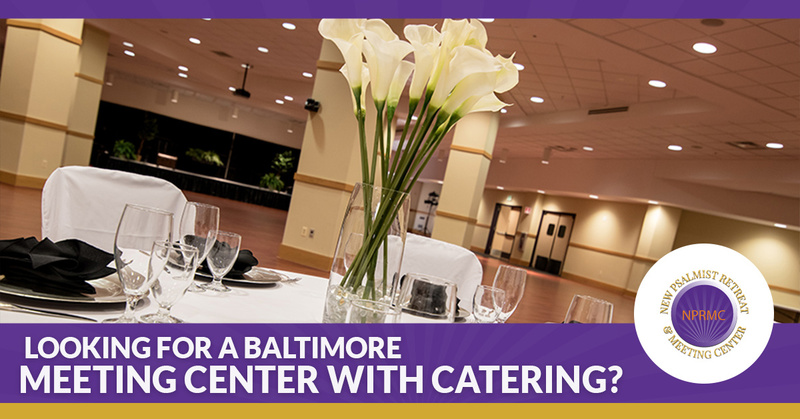 Meeting Center Baltimore: Looking for an Event Venue with Catering? 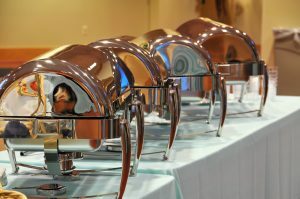 Looking for a Baltimore Meeting Center with Catering? Whether you are planning a wedding reception, a corporate event, or a large business meeting, one thing is certain: you and your guests will have a more enjoyable time if professional catering services are provided. Offering your guests with delectable food and drink will not only show them a good time, it will also help them stay more engaged during the course of the event. After all, it can be pretty difficult to concentrate if you are hungry or thirsty. At The New Psalmist Retreat & Meeting Center (NPRMC), we pride ourselves on offering a wide variety of rooms and amenities in our Baltimore meeting center that are suitable for virtually any type of get-together. Contact our friendly team today to request a proposal for your next event! If you and your loved one have an upcoming wedding in the Baltimore area, you are likely on the hunt for a stylish and convenient place to hold your reception. Having professional catering services at your wedding reception may be high on your priority list, as it will allow you the freedom to visit with friends and family members while ensuring everyone has the food and drink they need throughout the event. At NPRMC, we offer two different types of wedding reception catering packages, and whether you choose to have buffet-style catering or seated catering, you won’t be disappointed with the food and drink beverages we offer. When you are in charge of planning a large corporate event, such as an evening gala or a fundraiser, you want to make sure that every last detail is considered. Formal gatherings that last for many hours will most certainly benefit from having professional catering services, and when you choose to host your event at NPRMC, you can rest assured that our team will deliver the best to your guests. Designed by Chef Jamel Boyd, our Creative Culinary Experience features exquisite, mouth-watering dishes that you and your guests won’t soon forget. From Wild Mushroom Tartlets to African Rock Lobster, the dining options are amazing. Every now and then, going off-site for your company meetings can provide a nice change of pace. Nothing will make your employees feel more appreciated than treating them to high-quality catering, and you don’t have to break the bank to do so. Our NPRMC team gladly offers Affordable Catering services for smaller business meetings, and whether you are planning a morning or afternoon meeting, we have your needs covered. You and your employees will discover a wide variety of food and drink options when you choose this catering option, including coffee, hot breakfasts, snacks, sandwiches, and desserts. When you want your reception, gala, or meeting to go off without a hitch, let the team at NPRMC help you out. Our facility is the second largest event space and meeting center in Baltimore, and we would love the opportunity to show you what makes it so special. We offer on-site tours of our center every Thursday from 11:00 am to 4:00 pm that are perfect for seeing our incredible grounds and amenities for yourself. From amazing catering services and state-of-the-art audio/visual services to professional security and valet parking, our facility is sure to suit your needs. Call us at 888-239-6272 to learn more!